Harrisburg, PA – First Lady Frances Wolf today announced the opening of three, exciting new art exhibits on display at the Pennsylvania Governor’s Residence in Harrisburg. The new exhibits include artwork by the late Pennsylvania House Speaker K. Leroy Irvis, a photography exhibit curated by the Historic Harrisburg Association highlighting the history of Pennsylvania Governors’ Residences, as well as “thread paintings” by Easton-based artist Emil Lukas. The Governor’s Residence, located at 2035 North Front Street, will be open to the public to explore the new artwork this Friday, November 18th between 5:00 p.m. and 8:00 p.m. as part of Harrisburg’s 3rd in the Burg. At 6:00 p.m., David Morrison, architectural historian and executive director of Historic Harrisburg Association, will present a 30-minute illustrated lecture on “Pennsylvania Governors’ Residences from the 17th to the 21st Century” which highlights nearly 350 years of architectural landmarks associated with Pennsylvania’s Governors from William Penn to the present day. This event is free, open to the public and no reservation is required. In addition, visitors to the Residence this Friday, as well as those visiting throughout the holiday season and into the spring, will be able to view the amazing work of former Pennsylvania House Speaker K. Leroy Irvis, the first African American to serve as speaker of the house in any state legislature in the United States since Reconstruction. Speaker Irvis was also a prolific artist who created hundreds of wood sculptures during the latter half of the 20th Century as well as abstract paintings, poetry and other works of art. The Irvis exhibit was curated by Nancy Mendes, an artist, exhibit designer and art educator who has created exhibits for the State Museum of Pennsylvania, the Historical Society of Dauphin County and the City of Harrisburg. Also on display are the unique and inspiring works of Emil Lukas, entitled Large Particle Hum and Small Particle Hum. For his “thread paintings,” Lukas meticulously strings thousands of feet of thread in different directions across a framed wooden box. He tests the effect of every thread and hue. According to Lukas, “it is a very meditative state…the relationship is one with light, color, and the relative color that’s going on with the painting.” Lukas achieves the optical effects of luminescence and volume by making a denser web of threads toward the edges and a sparser web toward the center. Born in Pittsburgh and educated at Edinboro University, Lukas currently lives and works in the Easton area. For more information on his work, click here. 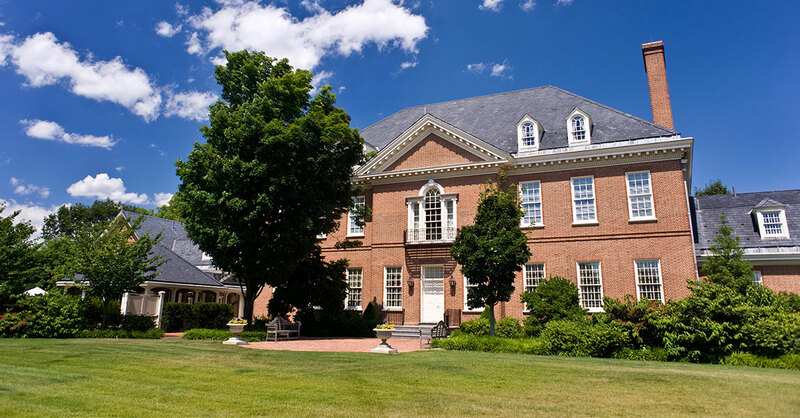 The Governor’s Residence is open for tours on Tuesdays and Thursdays by appointment. For more information about the Governor’s Residence, or to schedule a tour, visit the Governor’s Residence website here.